Car manufacturers are pouring money into electric vehicle development like a dying man at a roulette wheel, but we're still not convinced that the technology is close to its tipping point among consumers yet. There are plenty of practical problems we could highlight, but the one we often focus on in the office is the bare-faced lack of fun associated with the current crop of urban, everyman milk floats (as distinct from the pie-in-the-sky electric supercars). However, this latest footage from Sweden offers a ray of hope. 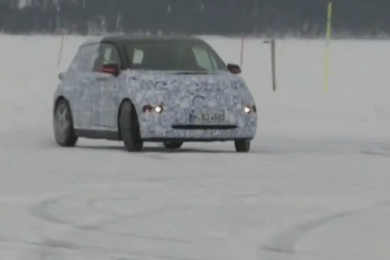 We've already seen BMW's i8 sports car testing, but the i3's all-electric, 150bhp, rear-wheel-drive platform is clearly almost as much fun on the Scandinavian ice. Click below to check out the next generation of city car sideways excitement.